Fastly's URL purge feature allows you to purge individual URLs on your website. By default, authentication is not required to purge a URL with the Fastly API, but you can enable API token authentication in the Fastly web interface by adding a header or by using custom VCL. NOTE: All purge requests other than URL purges require authentication by default, as indicated in the API documentation. 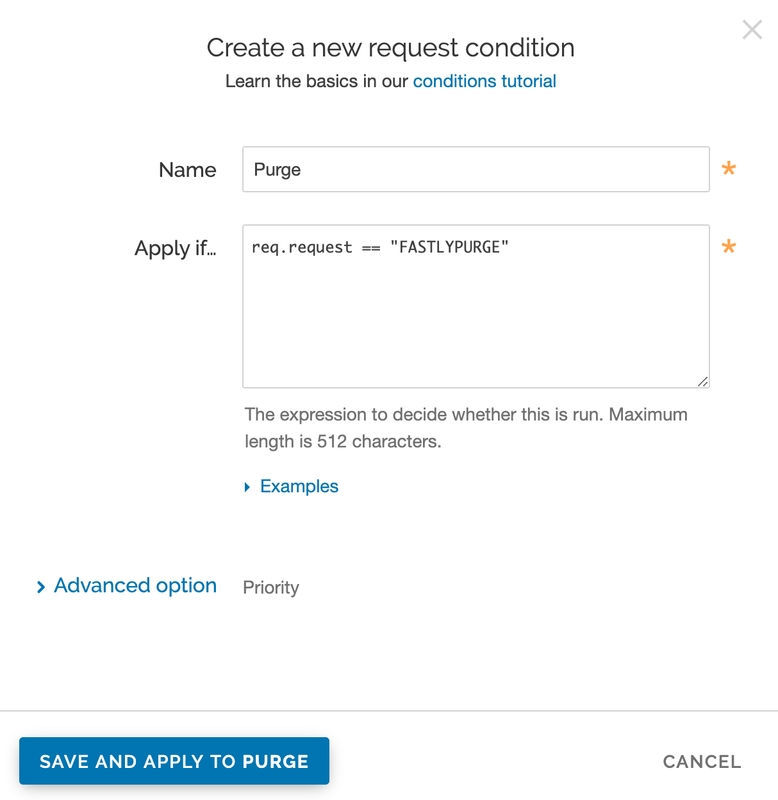 You can enable API token authentication for URL purge requests by adding a header and optionally attaching a condition in the Fastly web interface. In the Name field, type the name of your header rule (for example, Fastly Purge). In the Destination field, type http.Fastly-Purge-Requires-Auth. In the Source field, type "1". Attaching the following condition is optional. 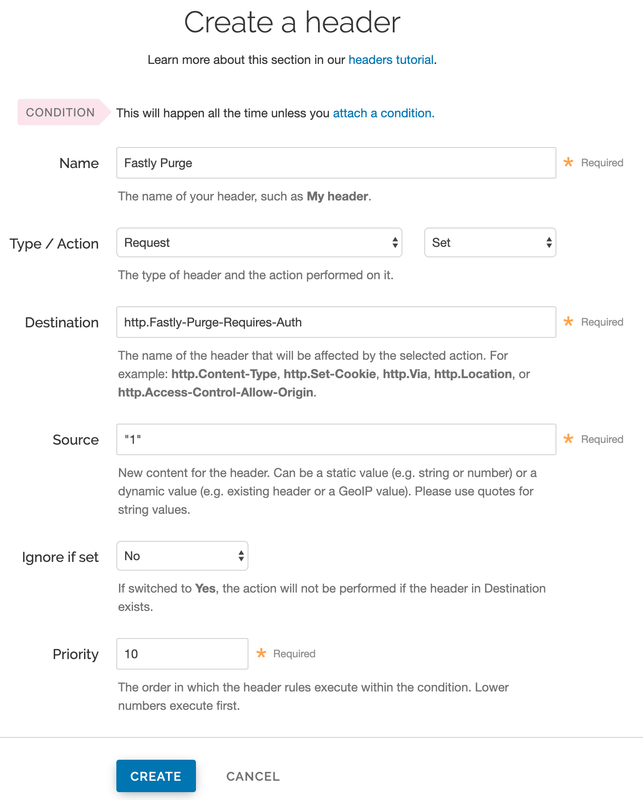 Without the condition, the header you just created will be added to all requests. With the condition, the header will be added to purge requests only. On the Content page, click the Attach a condition link to the right of your new header. The Create a new request condition window appears. In the Name field, type a descriptive name for the new condition (for example, Purge). In the Apply if field, type req.method == "FASTLYPURGE". In the Name field, type an appropriate name (e.g., Purge Require Auth). WARNING: If your website is not configured to use HTTPS, we recommend purging using a POST request with a secure Fastly API URL. This will ensure that your API token in the header is encrypted in transit. The request will look like this: curl -X POST -H Fastly-Key:FASTLY_API_TOKEN https://api.fastly.com/purge/<your_url_here>.